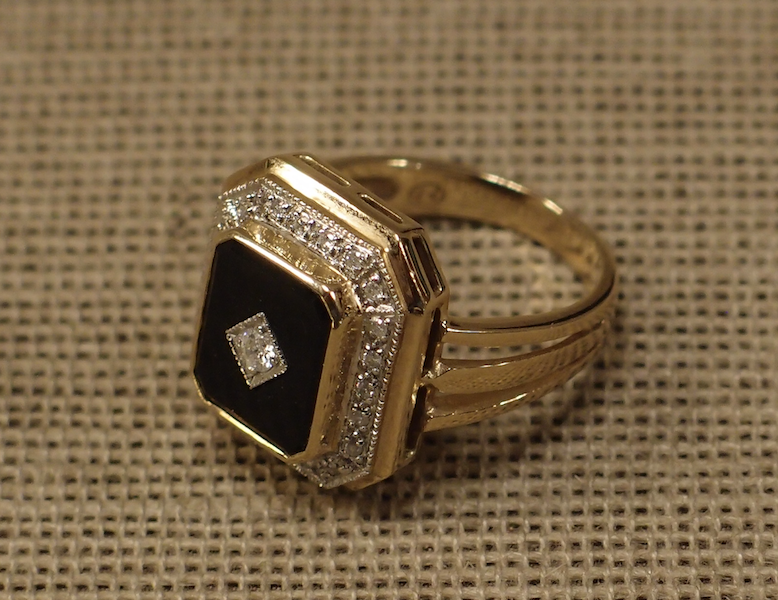 This Art Deco style ring could be worn by either gender. It features a large black onyx plaque with a central brilliant cut diamond. 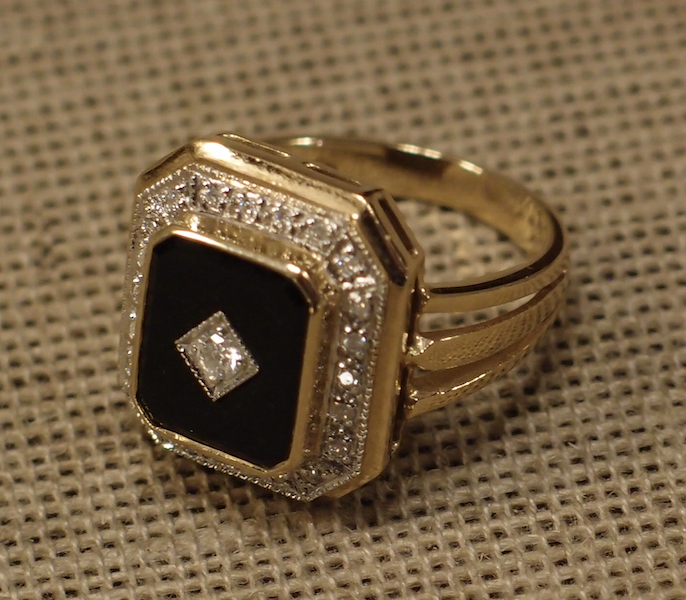 The octagonal plaque is surrounded baby a further 22 brilliant cut diamonds. The plaque is 19 by 16 mm.